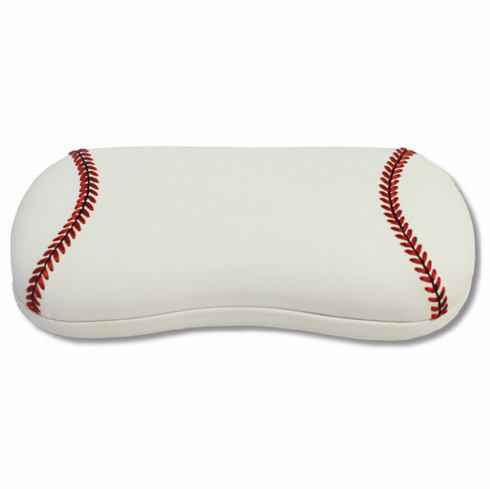 These sturdy, functional and fun baseball eyeglass cases have a soft, velvet lining on the inside (to protect your specs), and baseball material on the outside! These are great for keeping your shades and sunglasses safe too! Made with authentic baseball material - a really high quality synthetic leather that is durable and soft...very realistic looking and feeling. Embroidered stitches on the top. This eyeglass case measures appx. 6 1/4" x 3" x 1 1/2".